After a frosty start, it will be mostly dry and sunny although localised fog could persist in some areas. Some coastal fringes will see cloud with further wintry showers, especially in north-eastern England, although these will gradually ease. It will remain cold throughout and very cold across snow cover. Tonight, the sleet and snow will gradually spread into Northern Ireland, and perhaps other far western parts by dawn. It will be very cold with clear spells elsewhere, with a hard frost and localised fog. A mixed picture of showers and clear skies across Britain this afternoon - but cold weather will be everywhere. Forecasters have warned of severe cold weather in parts of the country, with temperatures in some areas expected to fall as low as -15C tonight and early tomorrow. The lowest temperatures are set to occur in Scotland, with lying snow, clear conditions and light winds contributing in southern, western and Highlands areas. 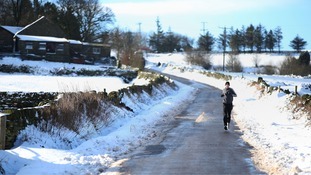 The Met Office also predicted widespread frost and patches of freezing fog across much of the UK, with drives in particular warned to take extra care in icy conditions. 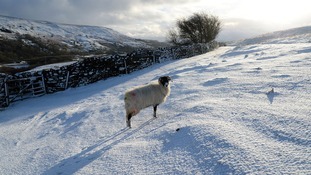 Another cold day everywhere, with highs of just 5C and sleet or wet snow in some parts of the country. The Met Office has warned of the impact of severe cold weather as temperatures fall before freezing across large parts of the UK. Forecasters said the severe cold weather and icy conditions could increase health risks to vulnerable patients and disrupt services. Parts of Mid Wales and the South Wales Valleys woke up to more snow and icy conditions today, after another night of wintry weather. You've been sending us in your photographs. It will be a mixture of sunny spells and showers for many today, with very cold temperatures - peaking at 5C. 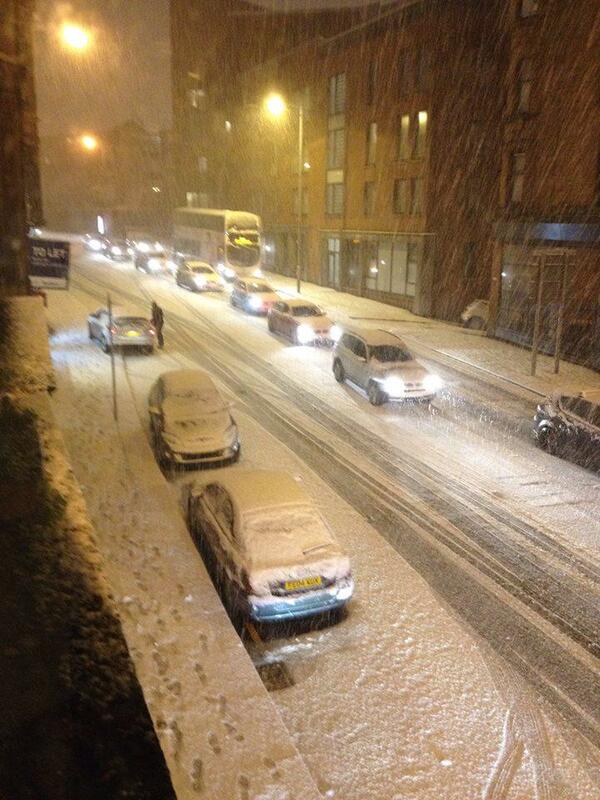 Heavy snow has caused has caused travel disruption on many routes across parts of Scotland. 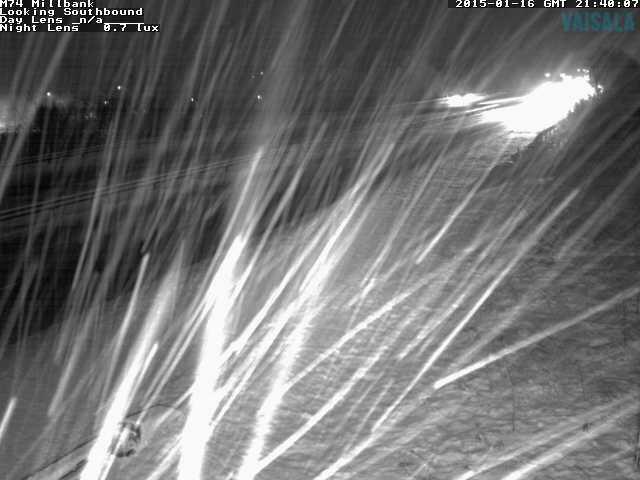 Glasgow Airport warned of delays, while 26 gritters are worked through the night to keep major routes open. Energy companies and volunteers from the British Red Cross are providing vulnerable customers who have been without power for four days hot food and drinks. Scottish and Southern Energy has been working with volunteers from the Red Cross to reach vulnerable customers, providing them with hot food and drinks. Every one of our volunteers in Northern Scotland was ready to do whatever was needed to help make things easier for as many people as possible. Our biggest priority was to make sure that people identified as vulnerable - because of age, infirmity or some degree of disability - were able to withstand this crisis safely. In some areas, water supplies were also knocked out because there was no power for the pumps which deliver it to more remote areas. Scottish Water provided supplies of bottled water, which our volunteers helped deliver. Our response will wind down as more households are reconnected to the grid but until supplies are back to normal, our teams will continue to provide whatever help is needed. Thousands of people are starting a fourth day without electricity as further high winds, heavy rain and snow are set to bring continued disruption to Britain's transport and power networks. More than 100,000 homes lost power at the height of the problems and engineers worked through "treacherous" conditions to try to reconnect customers in the north of Scotland. Some homes around Inverness, Dingwall, Wick and the Western Isles have been without power since Friday. 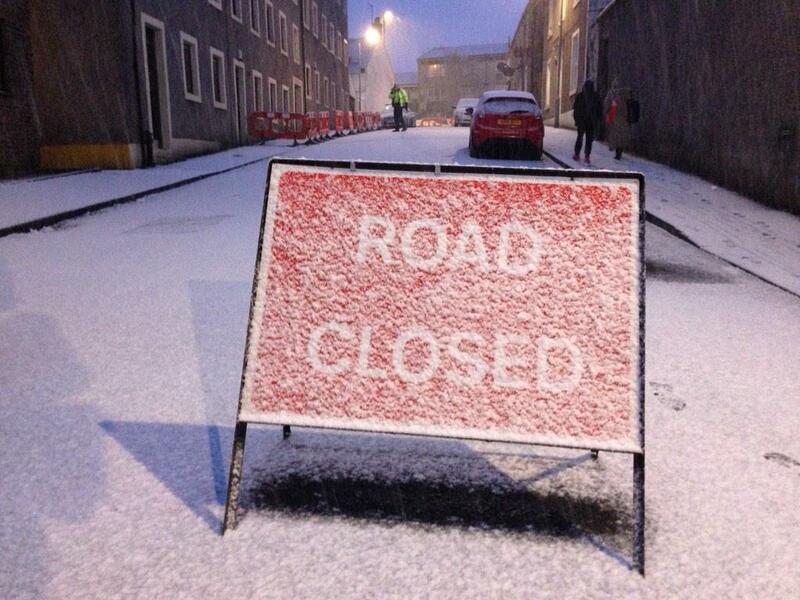 All schools in the Western Isles are closed today to pupils, the council has said.